Watch my screencast tutorial below to learn the basics of creating a Facebook event page! So you’re promoting your event, product, service, television show, radio hour, one-man crystal ball reading gorilla whisperer. Whatever it is, you need to know how to promote it properly! The lesson of this blog is that you have to be creative. The key to marketing or promotion is interaction with the target public. Example time! Delmarva Public Radio recently changed its programming and one of the new radio shows is called e-Town. The show focuses on community, ideas, and music. With new shows comes new swag. And if you’ve been following my blog, then you already understand the importance of swag. The promotional people over at e-Town sent DPR some e-Town CDs and stickers as well as several e-Town bandanas. Now, the task was to find a way to promote the show and engage the listeners too. 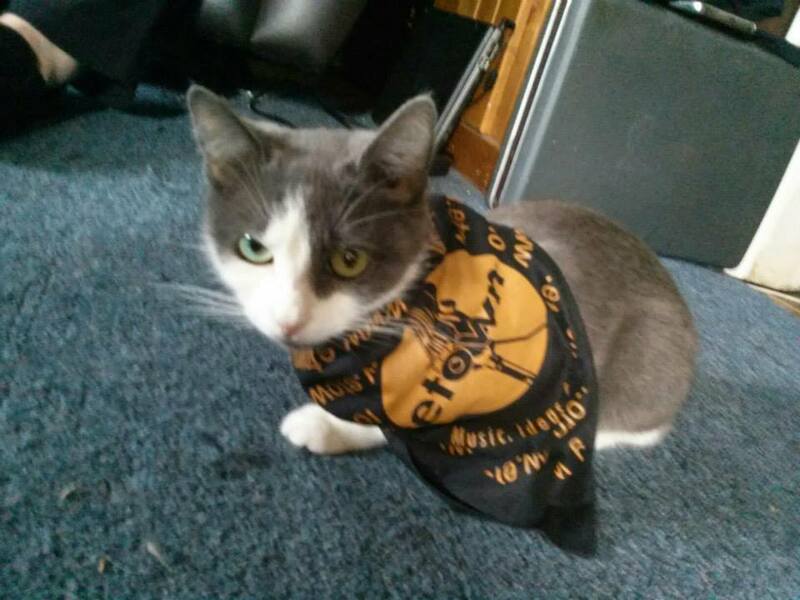 We decided to have listeners and staff members at the station take home the bandanas and take pictures of their pets wearing them. I then created the article and Facebook album, “Where’s Your Bandana?” encouraging listeners to pledge now and receive an e-Town bandana. Once received they would take a picture of their pet wearing the bandana and DPR would add it to its Facebook album of pets. Try to find a way to encourage your target public to become involved in the promotion of your event or product. Request that they take pictures with your product to submit. Or plan a contest after which you’ll have fans choose the most creative picture. Whatever it is, just engage them! In the case of e-Town, If there is one thing that the internet loves more than trolling people, it’s cats. Congratulations to Delmarva Public Radio for raising more than $95,000 during its fall membership drive “The Future is Now.” And all thanks to the listeners! I was never sure what I wanted to do with my public relations degree when I began school because there were so many different career paths available. However, I know working with a non-profit organization is something I am overwhelming happy to say that I have been able to experience in my lifetime. Delmarva Public Radio is a “listener-supported” public radio station and Delmarva sure proved that during this last drive. I’m happy to share with you some of my favorite aspects of the fall drive! 1.) The Volunteers: Sitting in the phone room waiting for listeners to call seems like one of the most boring jobs a person could be tasked to do. However, it was fantastic! I was able to meet and chat with listeners, members of the Community Players of Salisbury, Blackwell Library workers and employees for the Siedel School at SU. I established a relationship with several key members of the DPR community and can’t wait to work together in the future. 2.) The Listeners: If you thought sitting in the room sounded boring, imagine answering the phones and recording pledges for the drive. But you guessed it; it was just as great! All of the pledges I took came from loyal listeners or new members who were happy to share their favorite shows as well as how much they couldn’t live without our station. Several times they began their call with a small explanation of how they didn’t have much to give but they would be happy to contribute $30. And I was amazed. Someone who didn’t have much to give still put aside funds and had it in their heart to call and support the station. Speaking with those pledging was a humbling experience. 3.) Pitching: I’m an actress and a huge fan of public speaking so going on-air at the station sounded like an exciting opportunity. But for the record, it’s terrifyingly exciting. Dead air is the one thing a radio station cannot have, so losing your train of thought or running out of things to say sounded like my worst nightmare. But it felt amazing. I went on to explain the drive hashtag and to encourage listeners to call in their pledges and speak to me. Pitching was a success! I know working at a public radio station is something very specific and not something that everyone will be able to experience, but I feel great doing it. And I hope that each of you find your niche and have the opportunity to participate in something you enjoy as much as I did this. 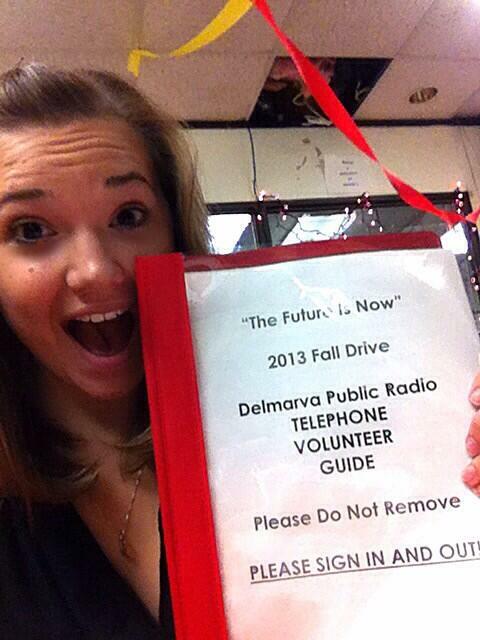 Delmarva Public Radio’s fall membership drive is in full swing and we aren’t holding back in the social media world. We are live tweeting the drive to spread our name online and you can do the same for your event! This will allow you to see what Twitter and Facebook users are saying about you and your event. If your hashtag is specific enough, it also creates a linkable thread grouping everything you and others have said about the event so far. Our drive hashtag is #SupportDPR. Short yet specific. Common sense, guys. You can’t create a buzz around your event with no content. Don’t spam your followers’ news feeds but be consistent! DPR has shared behind the scenes photos of volunteers answering phones, the cutting of a decorated DPR cake by our GM, and funny moments like when those on the radio asked our news director for a list of his awards and he carried in a stack of his plaques instead. Have interesting and relevant posts that will get people talking and use your hashtag to link them. Have volunteers and participants tweet or Facebook about the event using your hashtag too. This way the number of people you are reaching is much greater. Pass out small cards with the event hashtag on them and make sure to include it on all flyers or advertising for the event. Delmarva Public Radio has the added advantage of being able to pitch the membership drive on air so our classical host Kara and I spoke to our listeners about what hashtag is and how to #SupportDPR. Be sure to announce your event and hashtag on Facebook and Twitter and invite everyone involved to participate and spread the word! The fall membership drive "The Future is Now" begins Thursday! Let us know you #SupportDPR by participating with our drive hashtag. Delmarva Public Radio’s fall membership drive begins on Thursday and there is nothing but hustle and bustle at the station. 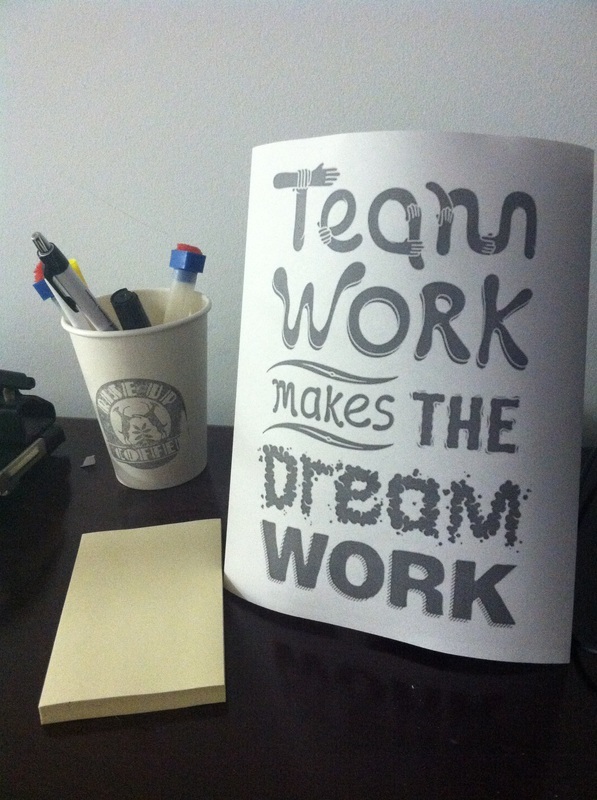 Especially in the membership department. And today we learned a valuable lesson about the importance of swag. Think about all the organizations on a university’s campus. Or the hundreds of charities that you could name off of the top of your head. Now, think of how many of them you learned about because you saw someone wearing a t-shirt with their logo on it. Delmarva Public Radio has lacked swag for quite a while. Sometimes the extra push to get listeners to donate to your cause is the promise of some free merchandise. The merchandise we received today just so happened to be bumper stickers! Check them out! 1.) Pens: How many dentists have you discovered because of pens that got passed around? 2.) Lanyards: They’re not just for sports teams! 3.) Keychains: For some reason, no one can resist attaching just one more key chain to their link. 4.) Mugs: I bet if I tell you to picture your kitchen cabinet, you could name for me at least 4 or 5 cups and mugs that you got for free. There’s an entire world of promotional products out there. Go find your swag. First thing’s first. I recognize that I’m going to be spilling my experience with Delmarva Public Radio all over this blog. You may get tired of hearing about it, but I’m not saying “look at me and my fancy radio position.” Every job is cool and exciting in a different way and I’m just ready to share the inside knowledge of what I get to witness and be a part of as the Membership Assistant. Moving on! Today was a huge day for Delmarva Public Radio! After the appointment of a new General Manager this summer, Dana E. Whitehair, Delmarva Public Radio is doing a much needed overhaul of the station. Salisbury University has invested a lot of time and money into sustaining public radio and DPR is doing its part to generate and keep listeners by making changes. Today, I arrived at the office in a purple plaid shirt and jeans believing it to be a normal data-input/money processing type of day. Boy, was I wrong. My director Angela Byrd receives a telephone call while I’m in her office and she looks at me, smiles, tells the person on the phone that I am there as well as what I am wearing, gives a thumbs up and then hangs up. I had just become the student fill-in for a press release photo op. After the Public Relations director for the college arrived and I borrowed my boss’s shirt for the photo, we rushed to gather information about the new programming that Delmarva Public Radio will begin airing on Monday. This press release is the first time anyone outside of the station will know that DPR is changing its format. DPR listeners are loyal and eternally supportive, but they are also the majority funding behind the station. The press release had to assure the community that the programming changes will catch the attention of a broader spectrum of listeners and ultimately lead to a stronger station. And it did! In between photo ops and press release emails, we ran to the publications office to submit work orders for a new logo, bumper stickers, and an updated media kit. Publicity and promotion are no joke! And the public relations world moves faster than you realize. In the end, Delmarva Public Radio officially announced its new programming schedule. And I finally realized that the real world is just as chaotic as the world of homework and college classes. Sometimes you just have to wing it!